When you walk into Creative Dance Academy you will instantly be carried away when hearing the tapping sounds of our dancers. What is tap dancing all about? In our tap dance classes students are wearing shoes fitted with heel and toe taps to create the typical tap sound. The name of this dance style originated from the tapping sound made when the small metal plates on the dancer’s shoes touch the hard floor. 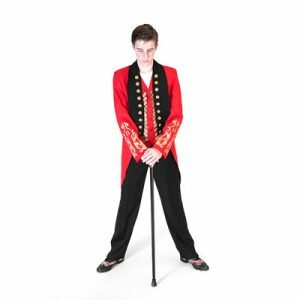 Tap dance is unique and different to other forms of dancing in the way that the audible, rhythmic tapping make our students not just dancers, but also a musicians. Tap dance classes are a great way to improve general fitness, coordination and timing. It also helps developing a deep understanding for music and rhythm. Like all dance forms, tap dance is physically intense, it improves strength and enhances body awareness in adults and kids of all ages. But tap dance classes do not only offer physical benefits, our classes help with boosting self-esteem and our students get a sense of pride and accomplishment when they master more challenging choreographies. Since tap dance is always performed in groups, this form of dancing is a great way to overcome shyness and fear of performing in front of an audience. Most importantly, tap dance classes are fun. We pride ourselves with providing an environment where students enjoy learning new dance skills while meeting and mingling with other kids and teens. Don’t wait, just grab a pair of tap shoes and join us at Creative Dance Academy for some noise. At Creative Dance Academy, we make tap dancing fun while teaching the skills and tricks to become a tap dancer. 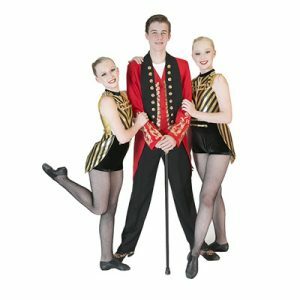 We offer tap dance classes to students of any age and with all levels of experience. If you have never tap danced before and want to learn, or if it has been a while since you have had your shoes on, just give us a call and we help you find the class that is right for you. We teach tap dance in small groups depending on your level of experience and age group. We work with our students on a choreography that is easy to learn and easy to follow. Our teacher are very kind and patient and will explain and demonstrate every step and move of the choreography. After a few classes students gain a great sense of achievement once they master their first steps into tap dancing. All of our dance teachers are well-experienced and will give each student individual attention and encourage them to maximise their potentials. From traditional to modern tap dance styles, our tap dance lessons are recognised across Australia. If you or your child is curious to explore other forms of dancing, such as classical ballet, jazz, hip-hop or drama just contact us. We are happy to help discover which dance style is best for your child and if you are interested in tap dance we will help you find a suitable tab dance class near you. We offer tap dance classes at all of Creative Dance Academy’s six dance studios. We are only a short drive away if you live in or around Parramatta, Blacktown, Penrith, the Hawkesbury or Hills area. Our dance school offers individual class prices or package deals as well. Find out more about our fees.